This book is a study detailing what happens to people and what life is like in a rehabilitation program. The program discussed is embedded in an institution, called ""Farewell Hospital"" by the authors, that was designed to fill a demand for facilities for those judged unable to live on their own. Due to physical or mental handicaps and no family, friends, or other social agents who are willing to make a home for them outside of a public institution, these patients were placed in a rehabilitation unit.Most patients were placed with the rehabilitation unit as a brief interlude before their permanent placement in the custodial unit of the vast institution where they would live out their lives. This work deals with the question of what happens to patients once they are rehabilitated and the non-therapeutic rules and practices of the health and welfare structure of which they are a part. 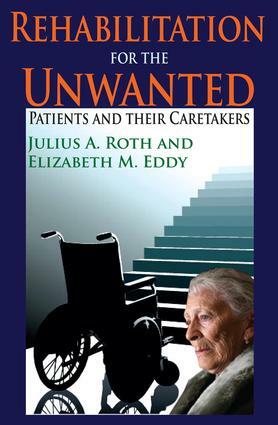 In this case, the rehabilitation specialists and ward workers set themselves the task of improving the life chances of their clients by treating their ailments when possible and by improving their physical functioning so that they were better able to care for their own needs.The authors examine the effects of the organizational relationships on rehabilitation outcomes and on the lives of the people who make hospitals their home. The text attempts to sustain feeling for the historical context of their study the ""problem"" of larger numbers of disabled, poverty-stricken persons, who are no longer wanted by anyone and asserts that a ""solution"" must be found. Where do they go from rehab?